At the moment in India, the ambient air is very polluted. 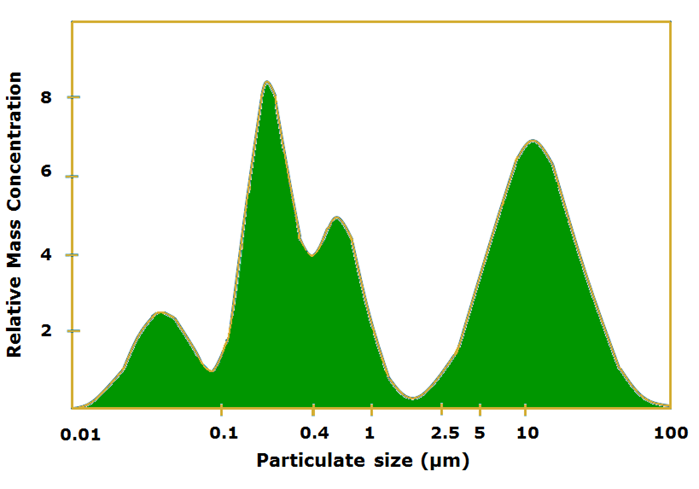 The main ambient air pollutant is the fine particulate matter (PM2.5). Thirteen Indian cities figure in the top 20 of the world’s most polluted cities (WHO, 2014) – Delhi being No. 1 with annual mean PM2.5 level of 153 µg/m3. Other cities have also very high annual mean levels e.g. Ahmedabad 100, Pune 59, Bangalore and Mumbai 45, Hyderabad 38 and Chennai 24 µg/m3. WHO recommends the safe level of 10 µg/m3. According WHO database that includes 124 Indian cities, 123 cities have the PM2.5 levels above Air Quality Guideline levels. Main sources of particulate matter in India are traffic, construction work, household cooking, energy production, biomass burning and various industrial processes. In some areas, Ozone (O3), Sulphur dioxide (SO2) and Nitrogen dioxide (NO2) levels are also high. They are emitted in various industrial processes as-well-as coal and petroleum combustion. High concentrations also occurs near the polluted rivers and open sewage systems. Carbon monoxide (CO) is a colourless, odourless, toxic gas that is also a by-product of incomplete combustion. Various bio-aerosols like pollen, fungi and moulds exists in nature, but typically in low concentrations, and therefore are not a major health risk for population. Thanks for the great post! Sadly, 80% of the population in the world is exposed to PM 2.5.